Properties in Suffolk County average 4.9 out of 5 stars. Relaxing Cottage -- Walk to private Beach! Property 51: Relaxing Cottage -- Walk to private Beach! Newly Renovated Summer Rentals - Book Now! 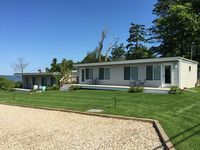 Property 54: Newly Renovated Summer Rentals - Book Now! Nature Lovers Cottage Close To All Shelter Island Has To Offer. Property 59: Nature Lovers Cottage Close To All Shelter Island Has To Offer. Property 62: 1000 feet from the Atlantic ocean. Cozy Cottage for 2 - great for couples/singles - in the heart of Shelter Island! Property 63: Cozy Cottage for 2 - great for couples/singles - in the heart of Shelter Island! Property 65: Just 400 FEET to A Private Beach . Property 73: Shinnecock Hills Retreat -- Steps to the beach with king Bed and hot tub! A private oasis in Sagaponack North. Property 74: A private oasis in Sagaponack North. Water Water Water Views!! !-Long Island Sound!!! Property 81: Water Water Water Views!! !-Long Island Sound!!! Property 87: Charming Newly Renovated Beach Cottage - One Block From Sunset Beach! Hither Hills - Pristine Guest House on private estate; walk to beach. Property 88: Hither Hills - Pristine Guest House on private estate; walk to beach. Chic Modern Southampton Beach House 8 mins to the US Open! Property 89: Chic Modern Southampton Beach House 8 mins to the US Open! Property 97: Hamptons Waterfront- Great Location! We loved our stay in Culloden Point. The space was simple, clean, quiet and had everything we needed! Kelly was friendly and readily available. We are sure to be back!